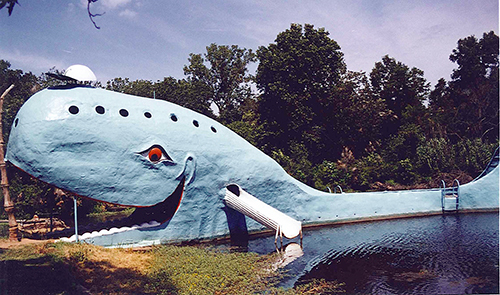 The Whale had a recent coat of paint, and subsequent trips would prove that The Whale was well taken care of by area residents. 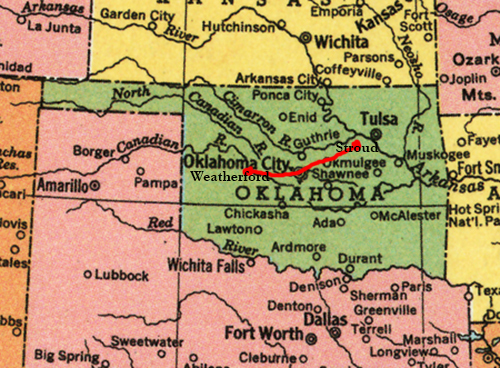 Kyle and I were absorbed by all Oklahoma nature, both the authentic and the man-made—snakes turtled, dragon flies, and The Blue Whale, where Kyle and I perched on every corner to breathe the Okie air. While Kyle and I explored The Whale the sun peeked through and then followed us to the Round Barn of Arcadia, a structural and acoustical marvel where barns dances and other events are held upstairs, and displays and a gift shop stand downstairs to educated roadies. The sun disappeared as we arrived at the epicenter of Oklahoma’s most heinous man-made tragedy—the ruins of the Oklahoma City Bombing. 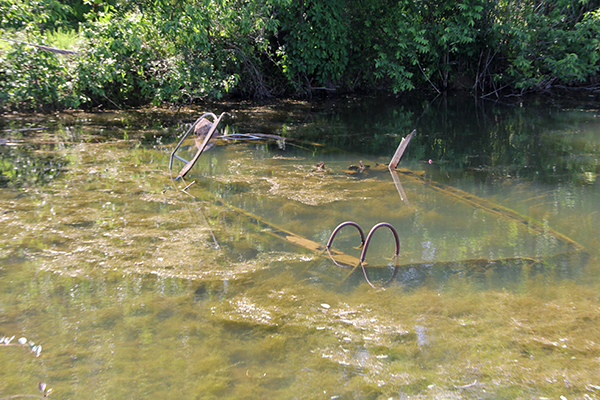 The area was in the process of rebuilding, and the Memorial was almost completely done. The remains we used as the center of the memorial, the hollowed-out crater and the shell of the building that used to surround it. Both Kyle and I left that day with a sense of hopelessness. We barely went any further down the road and ended up bunking at a Days Inn, where I spent a few hours soaking in the pool staring up at the Oklahoma sky where the stars are still able to come out and play. 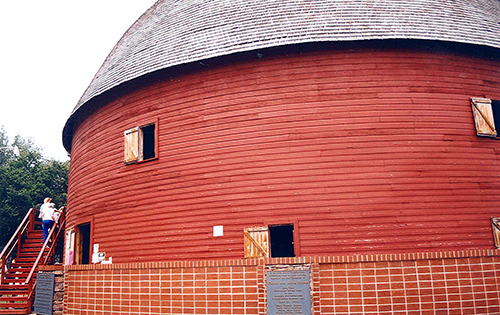 The Round Barn of Arcadia, Oklahoma, was saved by a local civic group who didn’t want to see one of the very few circular barns in the U.S. destroyed. July 14, 2001. 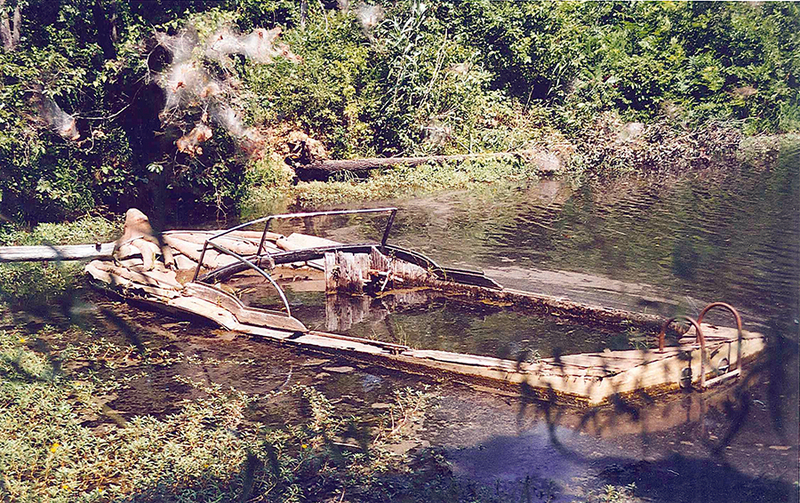 The Blue Whale was originally built by a local man as a gift to his wife. 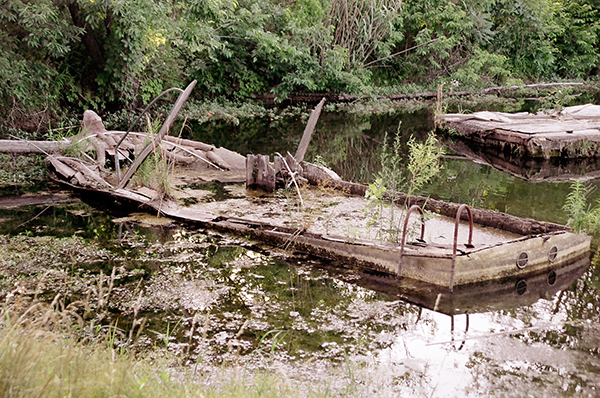 This seemingly kitschy diving board has become one of the most loved stops on Route 66. July 14, 2001. 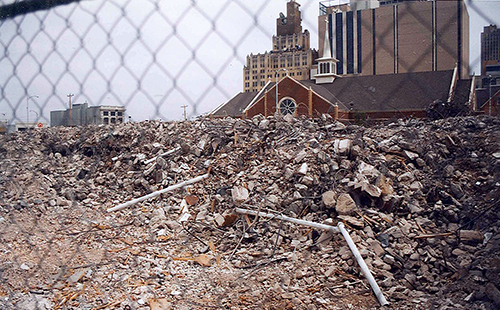 Almost 10 years later, the rubble from the Oklahoma City Bombing still surrounded the space where the U.S. Federal Building once stood. July 14, 2001. 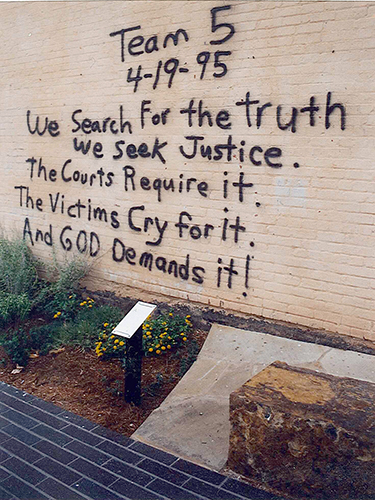 A message from a rescuer preserved for posterity at the site of the Oklahoma City Bombing. July 14, 2001.